Rollc Company has been established since year 2000 and is completely a Saudi based company, offering a quality adapted service from design, manufacture and installation. We focus on various business activities such as Industrial Automatic Doors & Security Systems, Steel Works, Tents & Membrane structures and powder coating line. Our business strives to achieve operational excellence, focusing closely on customer needs, to maintain and expand our product leadership with a total of 400 employees. We have already acquired land of 30000 square meters at Al Sudair Industrial Area and have started construction of our offices, factories for doors, tents & steel works, warehouse and staff accommodation which is expected to be ready by the end of 2015. Since its foundation in Riyadh, Rollc Company has already provided services to hundreds of clients all over the Kingdom of Saudi Arabia and internationally. 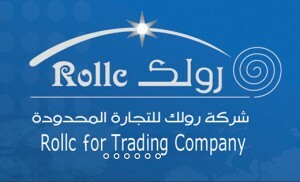 Rollc head office is based in Riyadh city with branches in Jeddah, Dhammam and Qatar and has many potential dealers throughout the cities of Saudi Arabia and the gulf countries. Rollc distinguishes itself for having highly qualified, skilled, and professional Technicians, Fabricators and Designers. Above all, Rollc Company values its customers with pride and professionalism. Some of our major customers/clients include Saudi Aramco, SABIC, Ministry of Interior, Ministry of Finance, Ministry of Civil Affairs, Ministry of Defense, Universities, Ministry of Health, Port Authorities and the list goes on. We have many Business Partners around the globe mainly from Europe and America for whom we represents exclusively for their products in the range of Automatic Doors, Motors & Drives, Gate Automation, Security Systems, Docking Equipments, etc.